A well planned Digital Marketing Strategy is foundational to your online success. but haven’t done your online market research, don’t have a sound Digital Marketing Strategy, don’t understand digital marketing objectives and not sure where to start. You are doomed to mediocre success before you begin. If you are a Business Owner who never grew up with the internet, you find it daunting and you wish it would go away, or you’ve put it in the “Too Hard Basket!” and hope it will go away — the truth is—it’s not going away!! It’s not your fault, you’ve worked hard all your life, you’ve made a success of your business and now this “internet thing” has come along and it’s tipped your business world upside down. Or maybe you know you have to do something about this whole “Internet Thing,” but it just makes you feel inadequate, dumb and stupid and you feel overwhelmed just by the thought of even knowing where to begin. Or you’ve decided, “Okay, so let’s build a website and get online.” You’ve found a Web Developer and the first thing they ask you is, “what do you want?” and you think to yourself, “Come on guys, you’re the experts!!! Or maybe you’ve built a web site and set up a Facebook page because someone said, “You need a Facebook Page!” and you’ve found it has consumed a lot of your time, given you “brain damage” and the returns have been mediocre, the learning curve is incredibly steep and you just don’t know how, where or who to ask to make it work for you. Will get you more leads, sales and profit, it will eliminate the time wasters and give you pre qualified buyers ready to buy. Having a well planned Sales and Marketing Strategy means you can confidently talk to your “Techie People” and tell them exactly what you want. You will feel like “the genius” and quite frankly they will love you for it because in most cases, they are tech heads with very little marketing skills and are relying on the Business Owner to provide the content. As a Sales and Marketing Strategist, I believe your first goal is to create a marketing strategy that builds trust and relationship and converts shoppers into buyers who want to buy from you instead of your competition. To make your business successful I first need to understand how it works, why it works, and what makes it tick? The type of work or services do you provide? What needs do you fill? Essentially, I want to “get inside your head” to understand your business and identify your customers needs, motivation, aspirations etc. Every business has its own unique features and benefits that will convert shoppers into happy customers, the problem is most Business Owners are too close to their business to see them, are poorly skilled in marketing and have no idea on how to market or promote their business. what makes your buyer “tick,” their needs, wants or problems that your product or services will solve for them. What sort of online medium do they use? That is; do they use Facebook? Or YouTube? Or LinkedIn? Maybe they use Trip Advisor. do you want to do the work? do you have the right people in your organisation to do the work? What social media platforms do you want to use? Do you want to outsource some of the work? Or do you want a complete “Hold Your Hand, All Done for You” service? From this, I can create a Sales and Marketing strategy, a “Road Map” for you to follow, one that best matches your skills. One that creates an online environment where your buyers feel like they know you, they can trust you and want to buy from you instead of your competitors. In other words, a Digital Sales and Marketing Strategy that is uniquely tailored to suit your business, products and services. It takes a comprehensive and sustainable marketing approach to build your leads, sales and ultimately your bottom line profit. 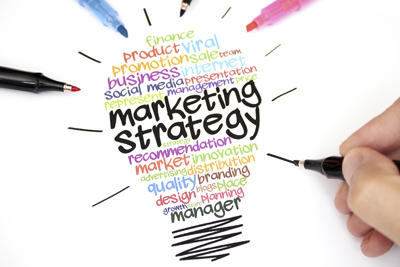 Even though it will require a little bit of work up front, with the right information and input, together we can develop a marketing strategy that works. One that gives you a continuous stream of pre-qualified leads flowing into your business. You will discover a whole new level of business growth you never thought possible. As part of the implementation process, I “partner” with you for up to 10-12 weeks with a Training and Business Coaching program to help you develop a Sales and Marketing Strategy that works and how to manage the ongoing process.